As the world evolves around us, the scope of modern blended learning shifts constantly. Within that shift, how do we define modern instructional design? We know that our work is impacted by evolutions in learning theories, technologies, and the way humans have adapted to new technologies. In all of this change, one key thing remains co nstant -- we design to meet the needs of our learners in their moments of learning need. We may have different starting points, pathways, approaches, techniques, philosophies and/or strategies, but we are all working towards the same goal. However we get there, we end up analyzing needs, designing a learning strategy, and developing and implementing content. Instructional design is, and always will be, about creating solutions that help learners succeed by acquiring knowledge or skill, becoming more efficient or effective, or making change happen. We will continue to use whatever tools we have on hand to blend together learning experiences that meet the needs of our evolving learners. 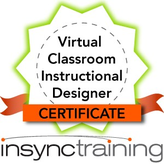 Is it possible that we need to refresh our instructional design practice? If so, where can we turn for inspiration as our learners and technologies evolve? Sounds a lot like instructional design, doesn’t it? Let’s explore five phases of the design thinking approach that can inspire our modern instructional design practice. Empathize: We do a lot of needs assessment in our work, but are we really listening? In the empathy phase, our goal is to get to the core of what is most meaningful to the modern learner. Define: Here is where we define the problem we are going to address, based on what we’ve learned in our needs assessment. Sound familiar (defining measurable objectives!). In this phase, our goal is to bring clarity and focus to the table, look for outstanding issues, and craft a meaningful and actionable problem statement. Ideate: Here we will throw caution to the wind and dream big. There are no “bad” ideas here – this is an open space where imagination is cherished. At this point our goal is to move beyond the obvious and explore new opportunities and solutions. Prototype: A prototype should showcase the experience someone would have when interacting with your solution. Within the design thinking framework, the prototype is a low-end solution that is easily changeable. A prototype can be as simple as an outline, whiteboard drawing, storyboard, mind-map, flash cards, or collection of post-it-notes that can guide the conversation. Low-end prototyping will help you see the issues that you’ll need to take into consideration, and let you adapt, change, fail, and remake quickly. As instructional designers in this age of modern blended learning, we certainly can’t afford to be complacent. Now is the perfect time for us to explore blended learning from the learner's point of view, and to explore new ways of making learning better through thoughtful design, and helping our learners meet their goals. 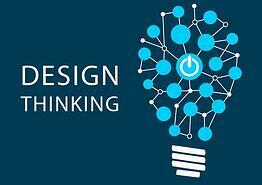 Take some time to explore the Design Thinking approach by integrating it into your next instructional design project. Bringing more empathy, definition, ideation, iteration, and testing into our work will only make us better at designing instruction for the modern learner. 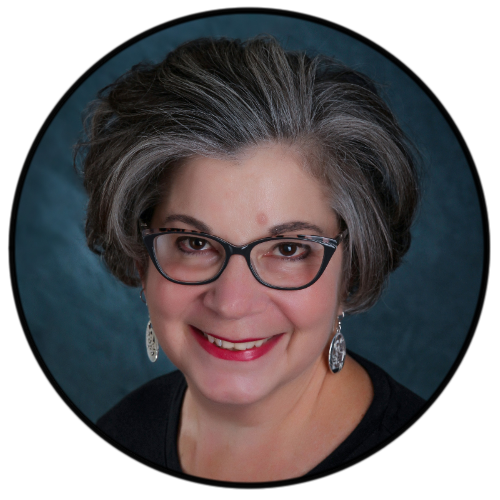 Recording Recap: Designing Learning Environments for the Digital Age This Byte session recap explores the evolution of corporate learning, and introduces the concept of the learning environment as a critical component of modern instructional design. Blog: 5 Benefits of Design Thinking from Drew Lepp In this blog post, Drew Lepp succinctly outlines five benefits of incorporating Design Thinking into the work that we all so. This post opens up possibilities across industries by simplifying the process and benefits of Design Thinking.